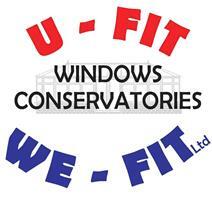 U-Fit We-Fit Limited was founded in 2007 bringing together the combined experience of more than 50 years of window and door manufacturing and installation expertise. We are a small but growing company who pride ourselves on the fact that we don't use high pressure salesmen but instead rely on recommendations and repeat orders to generate our sales. We can supply and install a great range of products including Warm tiled conservatory roofs, windows, conservatories, patio doors, front and back doors, sealed units and fascias, soffits and guttering. We also build our own conservatory bases, small building works and can lay patios. Our services also include carrying out repairs to windows, doors and conservatories including replacing hinges and handles and changing fogged-up sealed units. We are a CERTASS registered company and our installations can be covered with an insurance backed guarantee from Home Pro.